Good communication is critical to the success of any team. Hive makes it easy to start a conversation with either a group or a specific individual. Whether you want to celebrate a milestone, discuss a project, or even gossip, Hive's native messenger has got you covered! 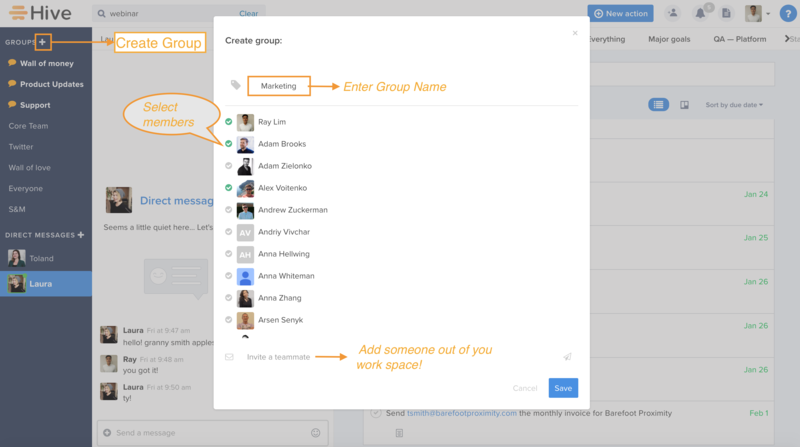 *You can add people who are not in your workspace by sending a invite! You can add messaging groups by department/team (e.g Marketing, Dev, Finance), by project (e.g Food party, Tech Conference) or by activity (e.g. Happy hour). You can also add automated messages from other tools you use (e.g twitter updates). Simply go to settings and click integration. It will take you to Zapier, a web automation toot that connects Hive to over 1,000 other apps. 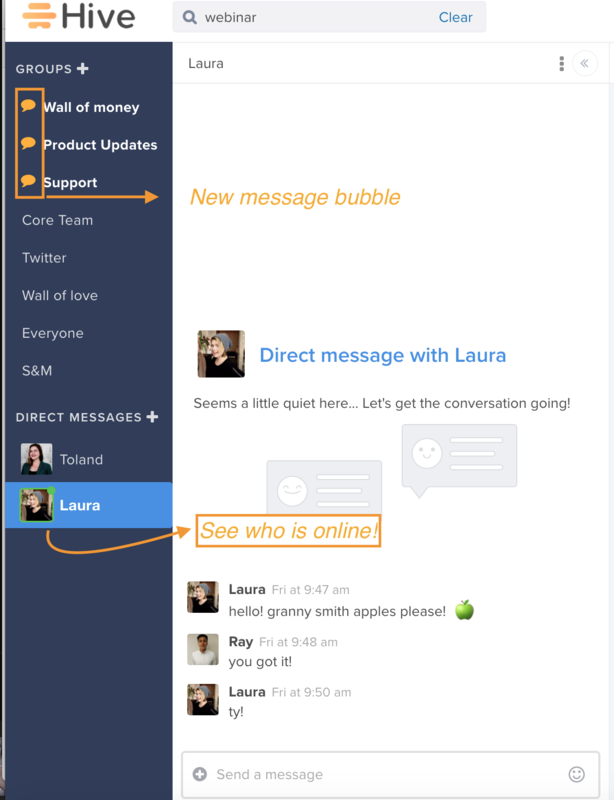 In Hive messaging, it's easy to see what's changed since you last logged on. You can even see the status of all your team members. Chat bubble - You have got new message! It is definitely crucial for your team to communicate effectively. With Hive, it's simple. If your team prefers to work in Hive without messaging, you can hide it from your dashboard. All you have to do is go to Hive apps and deselect Hive messaging from the workspace apps.